At many locations in Chiang Mai, Budgetcatcher rents top-class cars to its customers at great prices. Budgetcatcher meets the requirements of every customer. 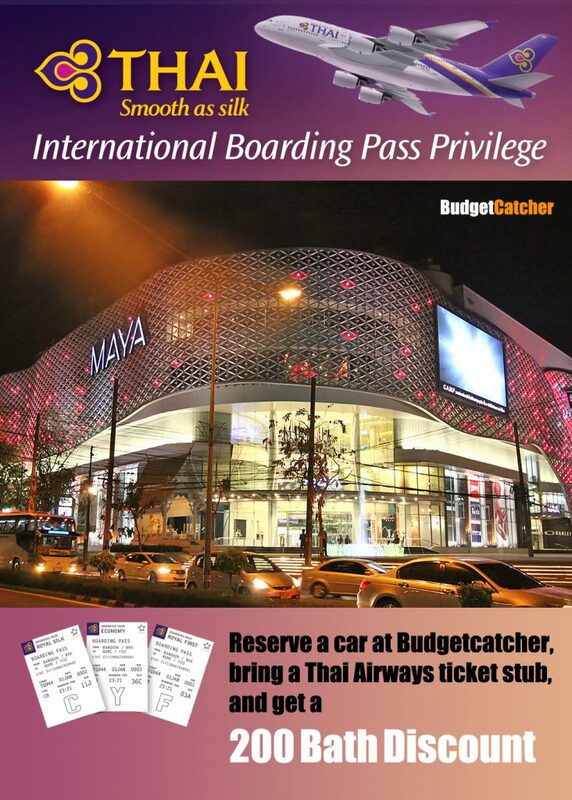 As Thai Airways passenger, benefit from Budgetcatcher Rent-A-Car Discounts. Just show your Thai Airways ticket stub and booking reference when picking up your Budgetcatcher rental car at Chiang Mai Airport, and get immediately a 200 Bath Cashback Discount in your hand.